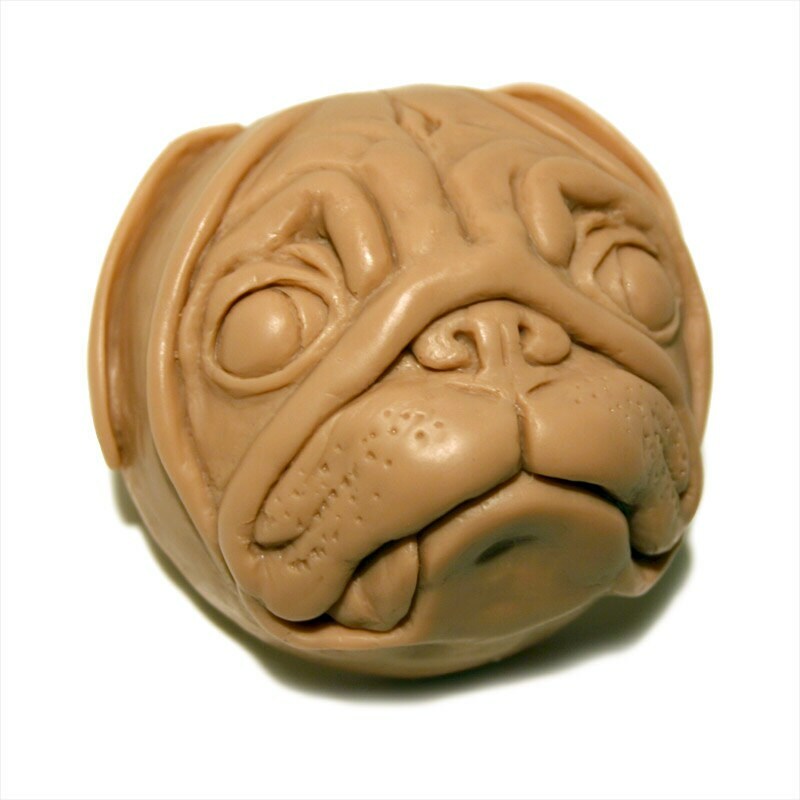 Our hand sculpted Pug is a vegetable base soap available in 6 different color/scent combinations. Select from the color and scent combinations above. 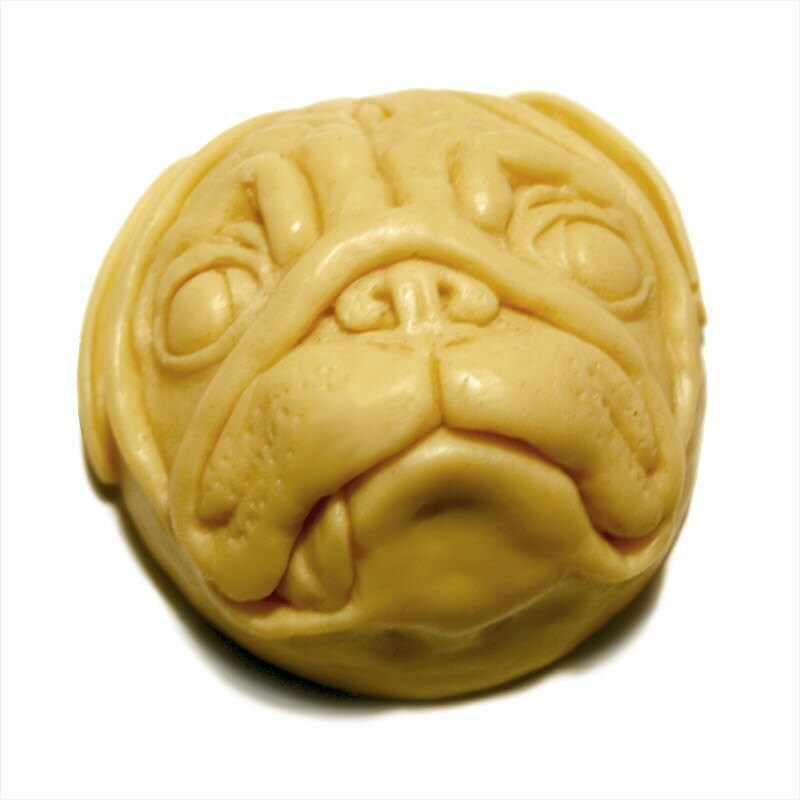 Also check out our PUG LOAF soap bar. 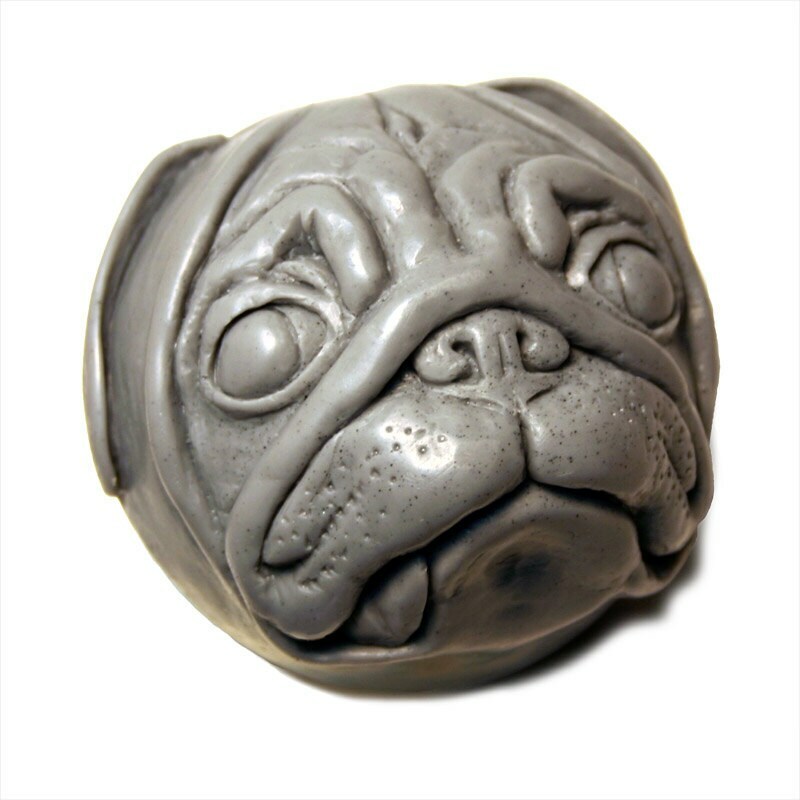 Each is richly detailed and delicately scented using a low sweat vegetable base. The 6 scents are listed below. 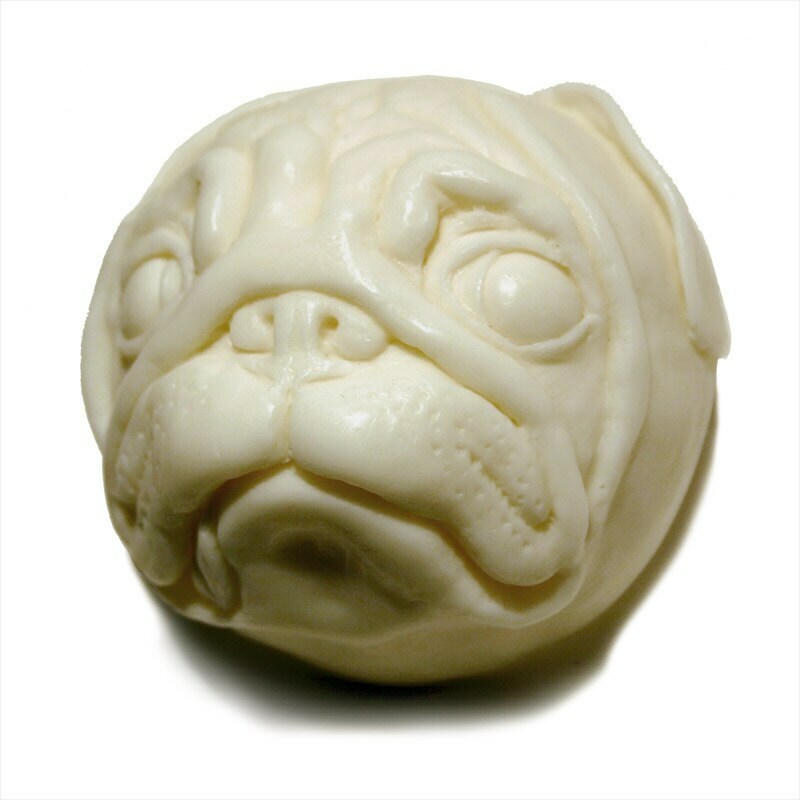 The natural oils makes it smooth and creamy to use while nicely achieving a soothing lather. The soap bar itself is 3" wide x 3" deep x 2" high. It arrives to you packaged in a 3"W x 3"D x 2"H natural color cardboard gift box, bearing a simple white label on top, wrapped with natural raffia. This packaged item weighs 7.3 ounces for the first soap bar.